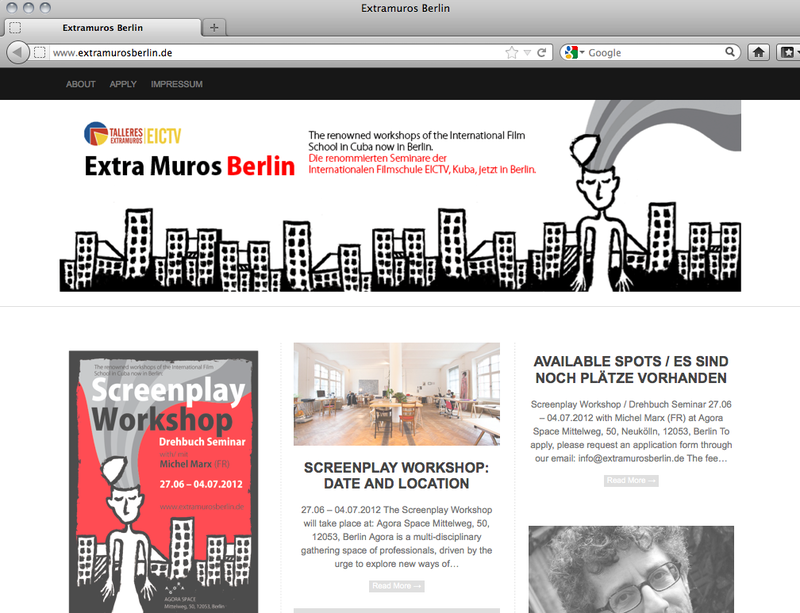 Extra Muros Berlin – Blog Costumization for Extra Muros Workshop from EICTV- Cuba in Berlin. 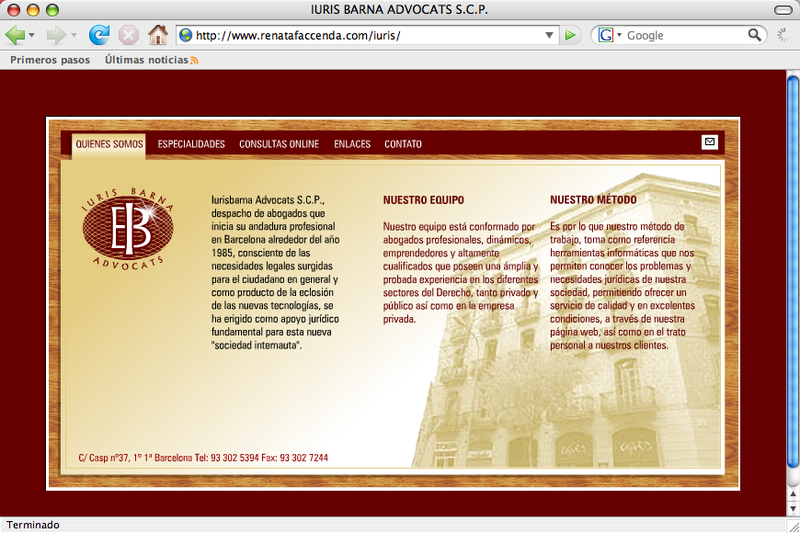 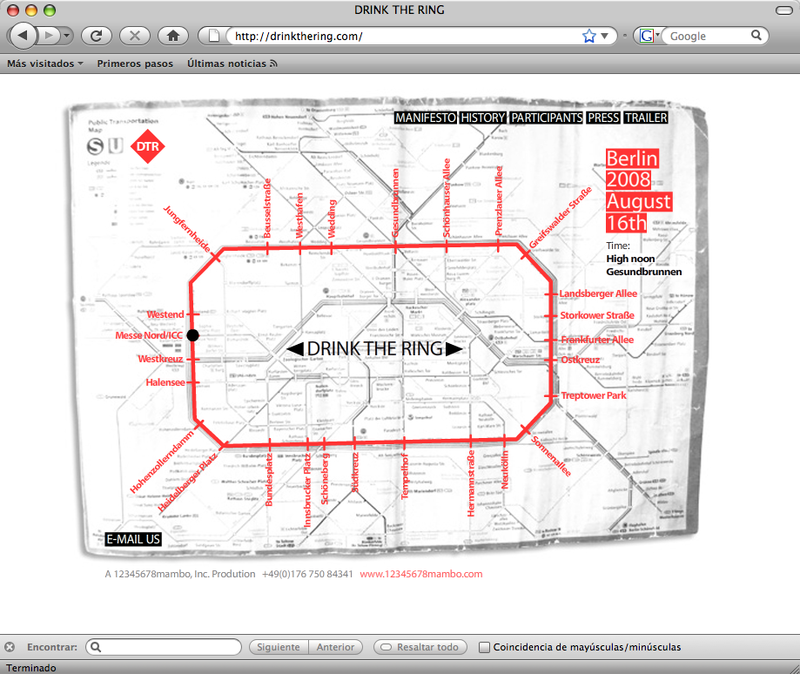 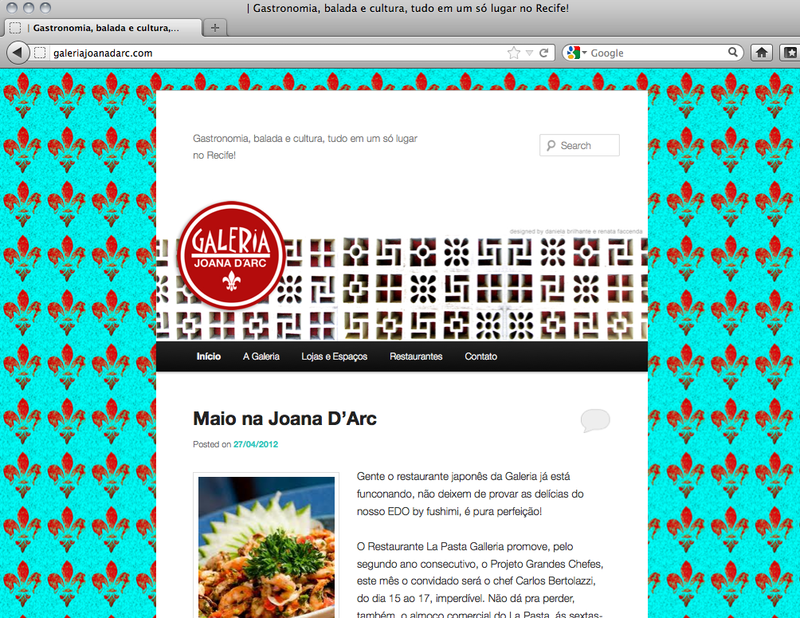 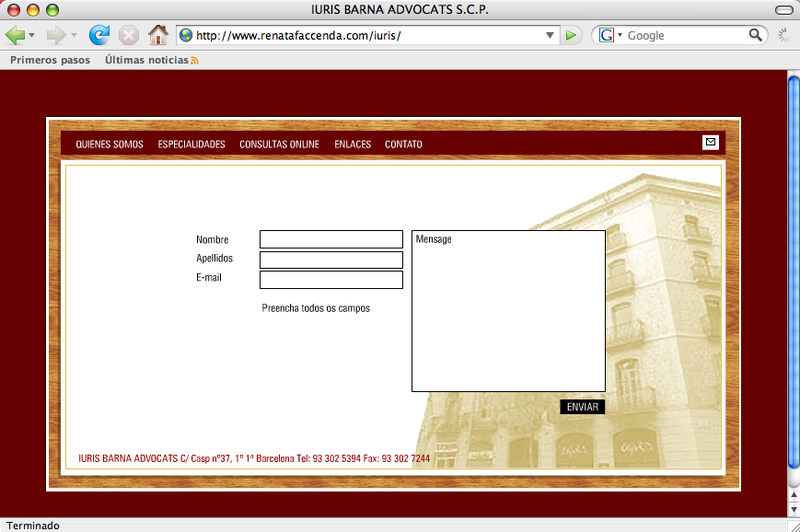 Galeria Joana D’Arc – Blog Costumization for shopping center in Recife, Brasil, Berlin. 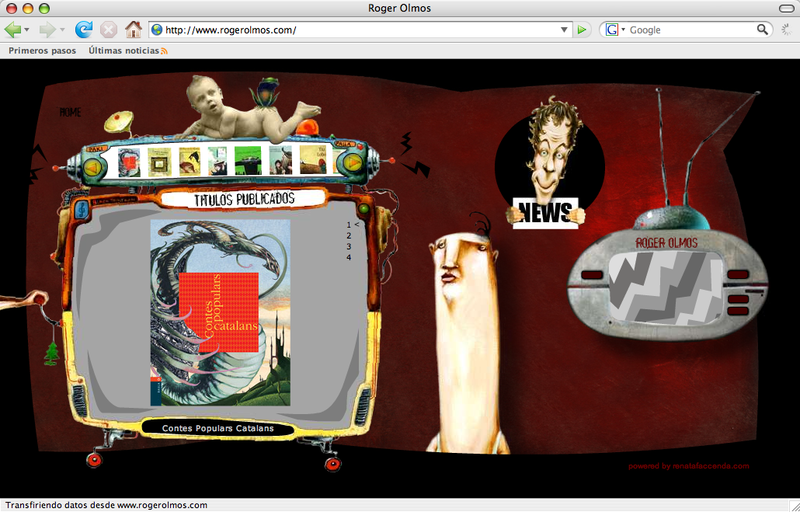 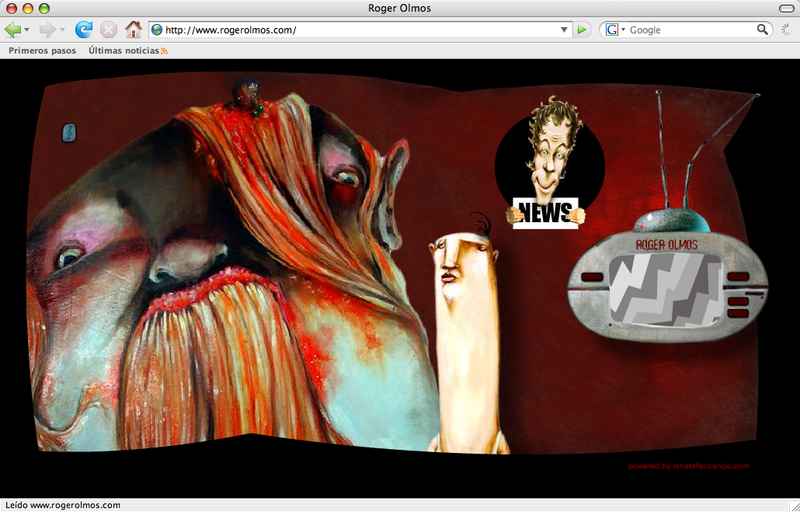 Roger Olmos – Ilustration, Barcelona. 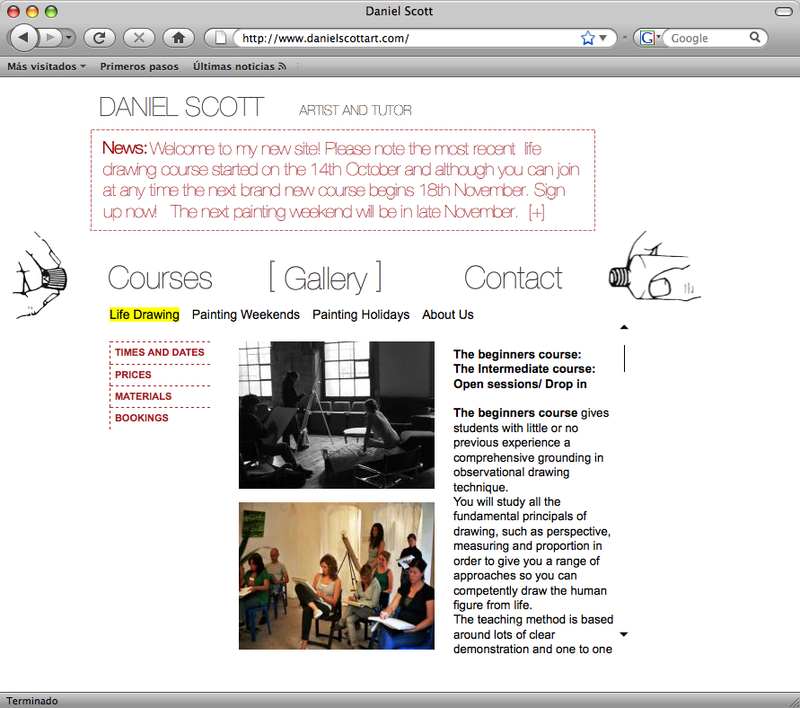 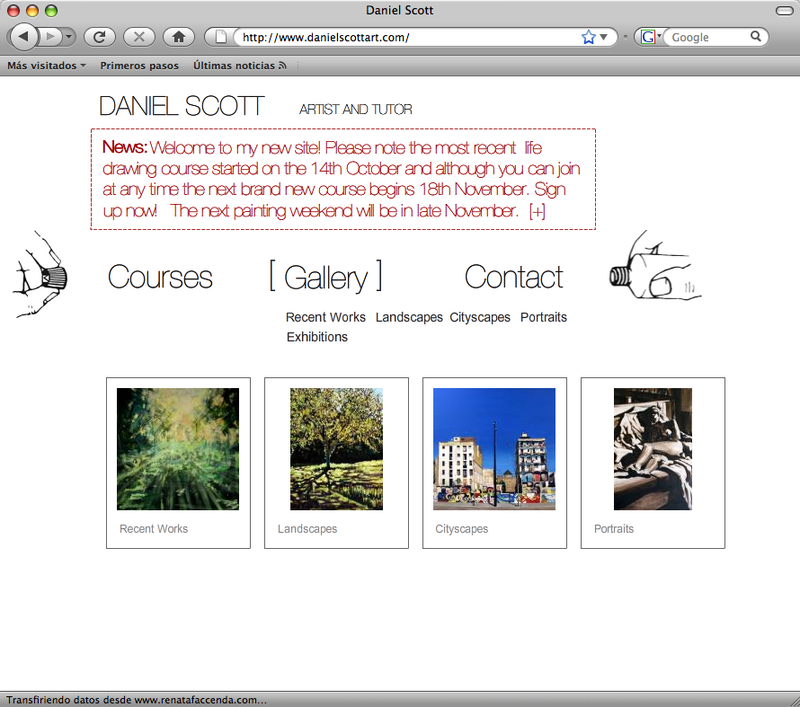 Daniel Scott – Artist and IED Teacher, Barcelona. 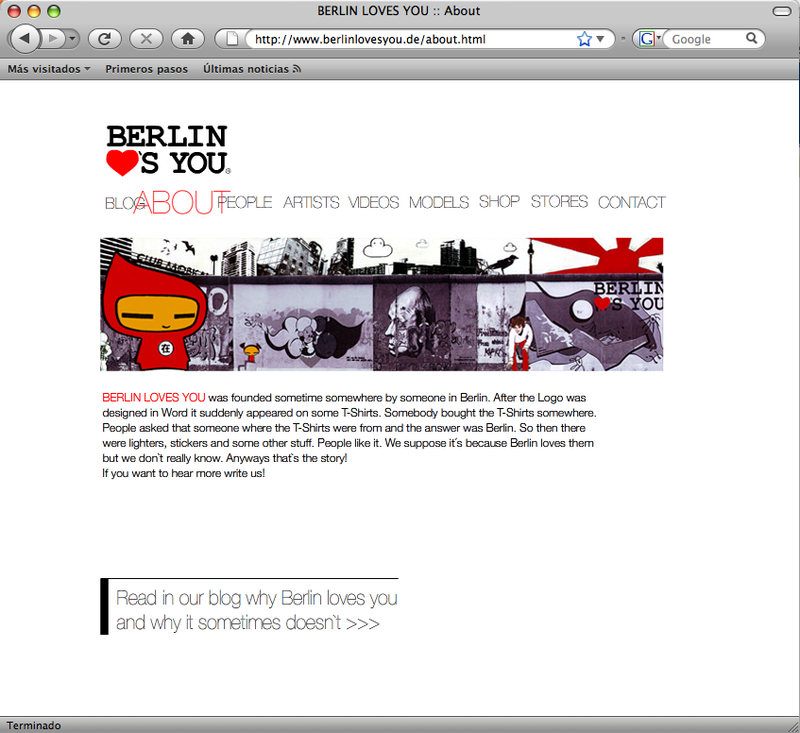 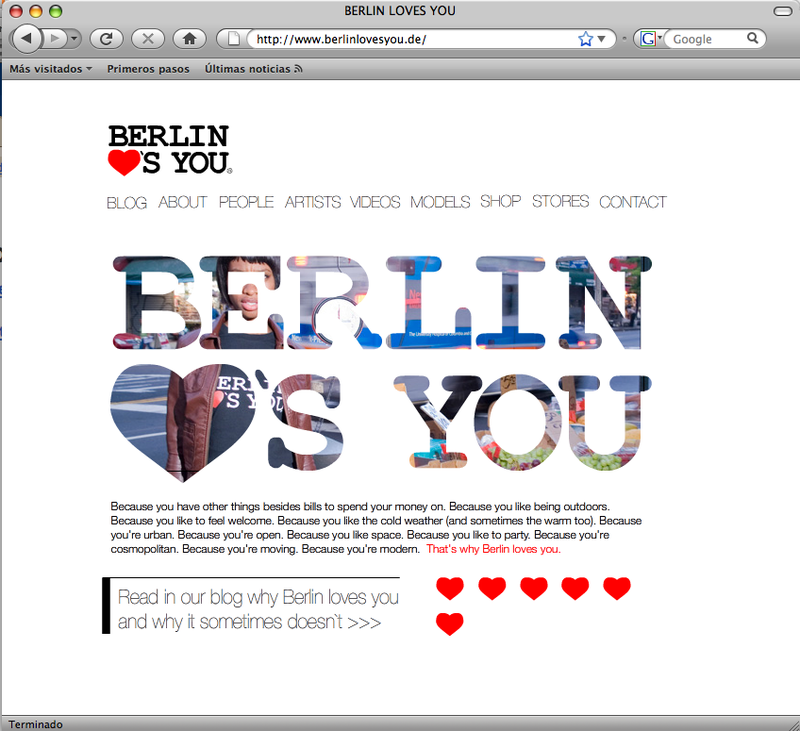 Berlin Loves You – T-shirt branch, Berlin. 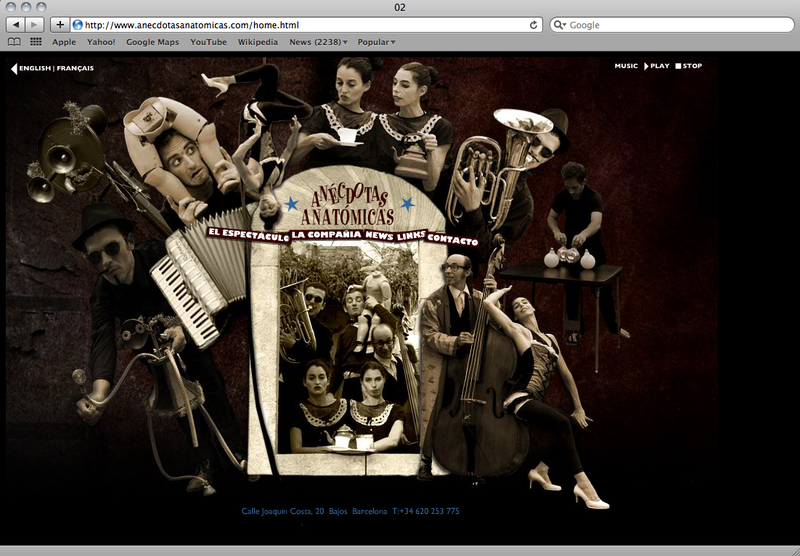 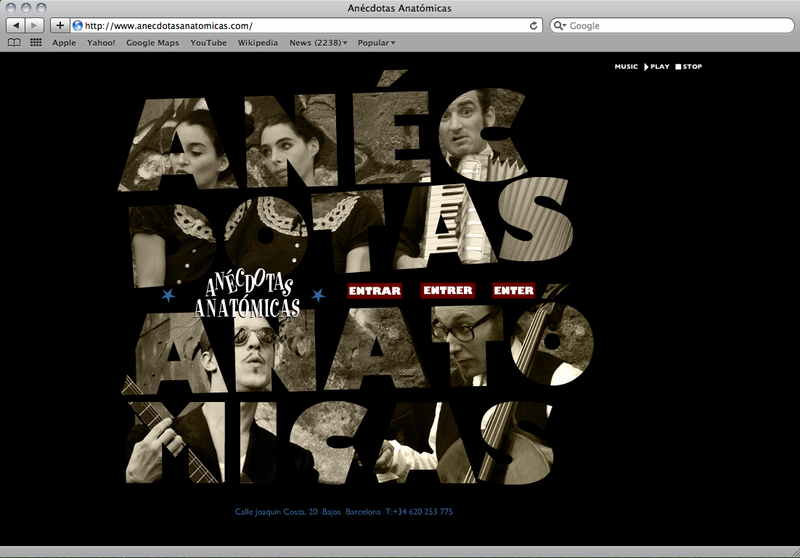 Anécdotas Anatómicas – Theater, Trapezium and Music, Barcelona. 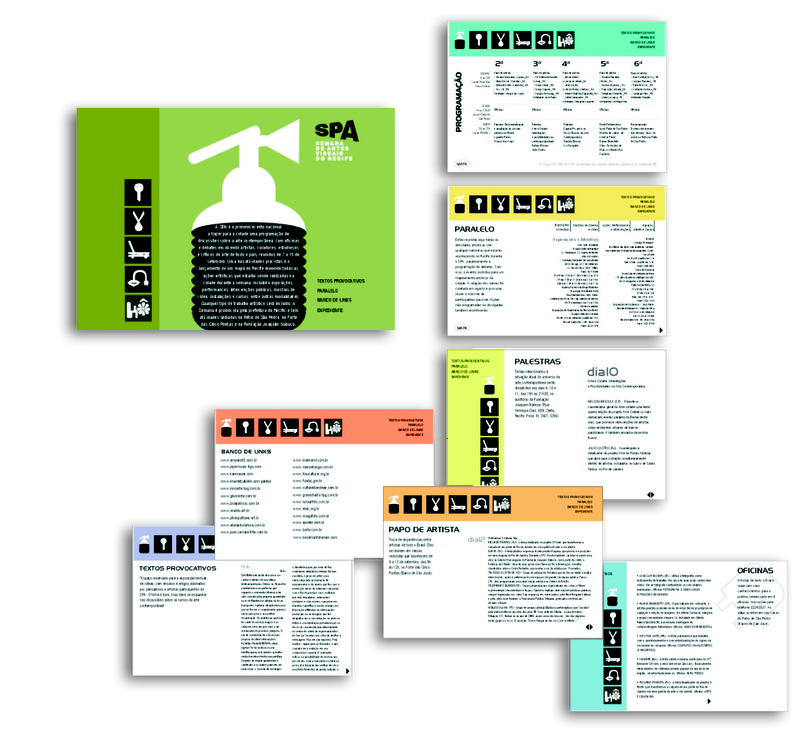 SPA – 1ª Semana de Artes Visuais de Pernambuco, Recife, Brasil. 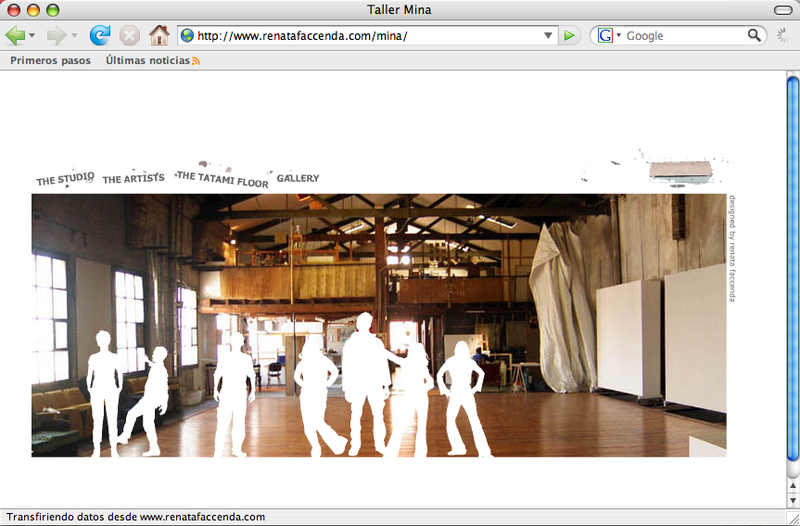 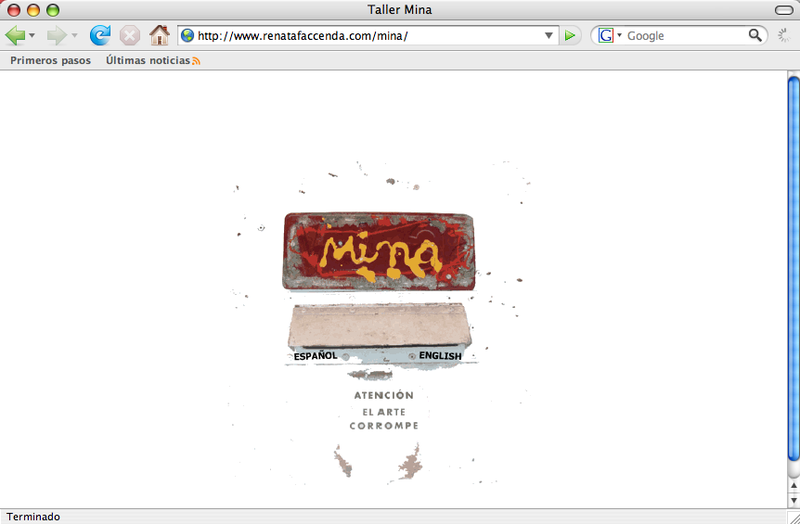 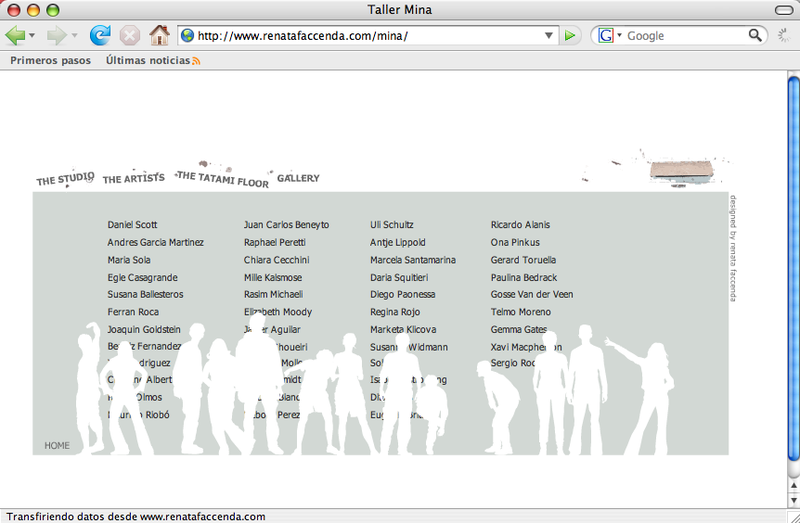 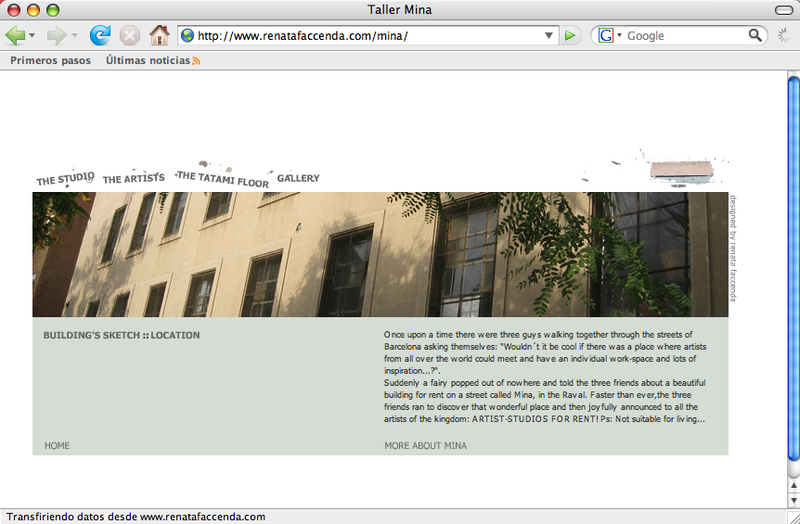 Taller Mina – Art Studio, Barcelona. 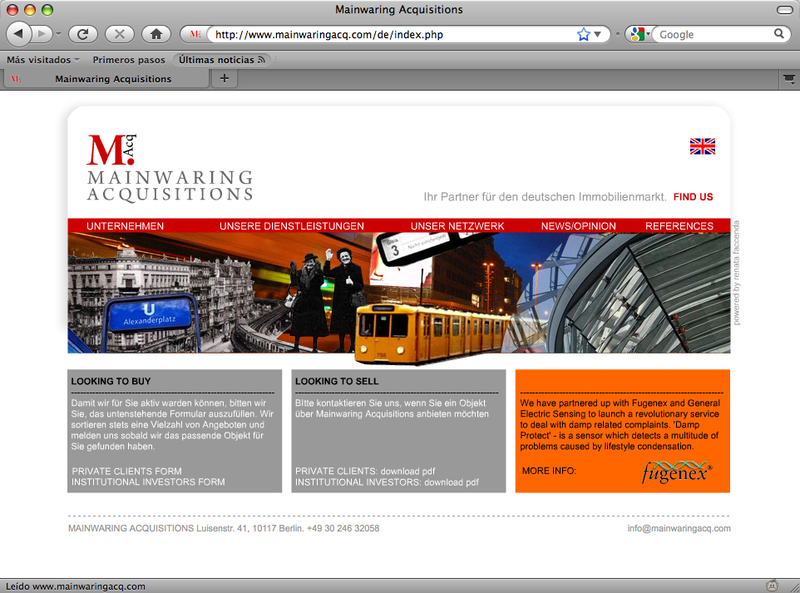 Mainwaring Acquisitions – Real State, Berlin. 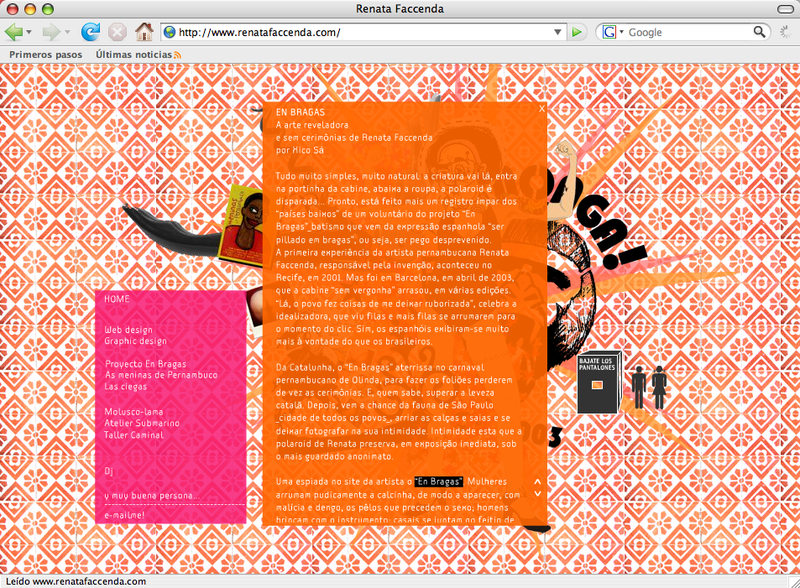 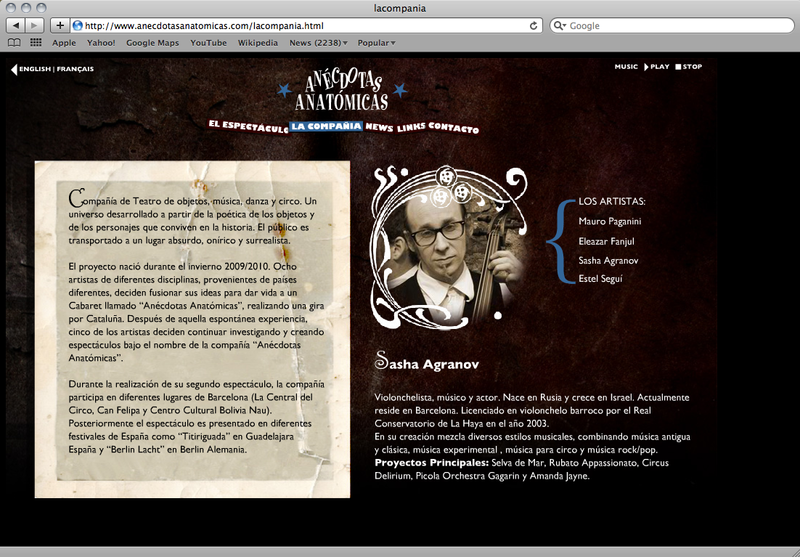 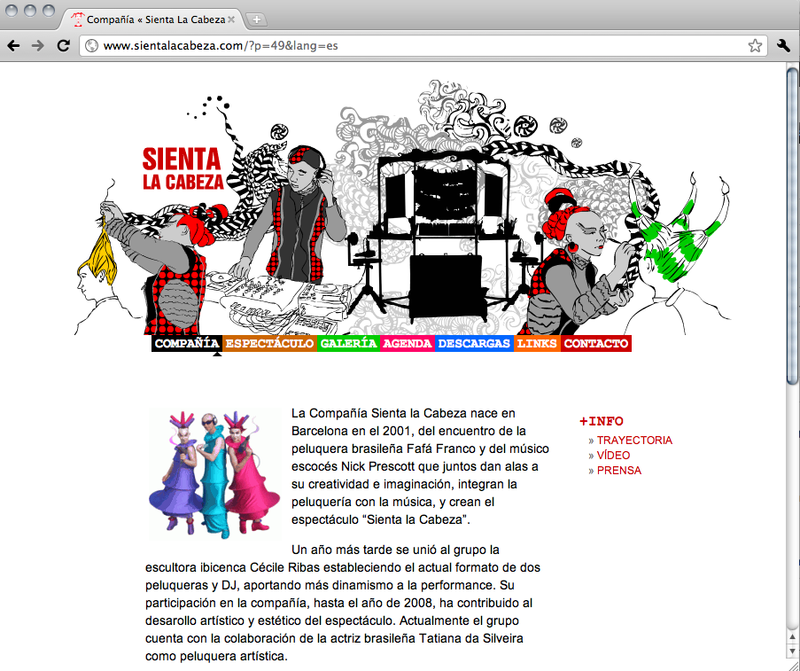 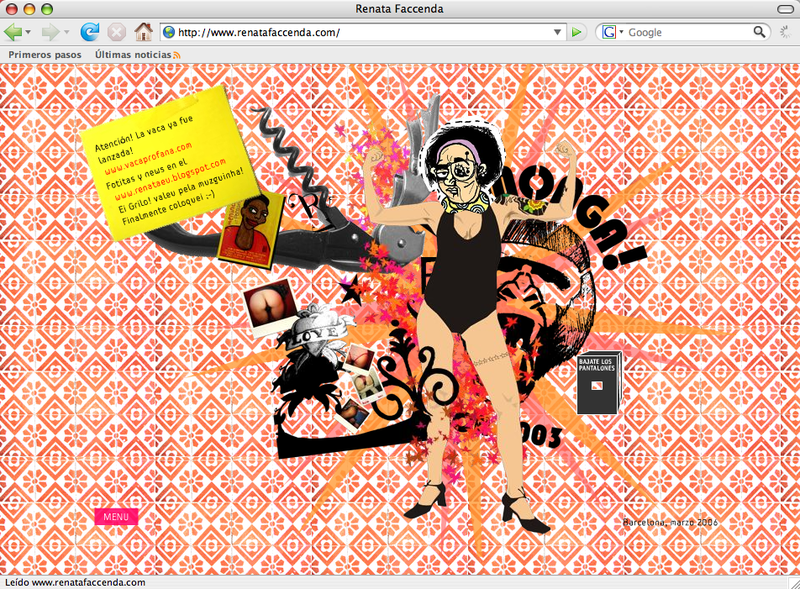 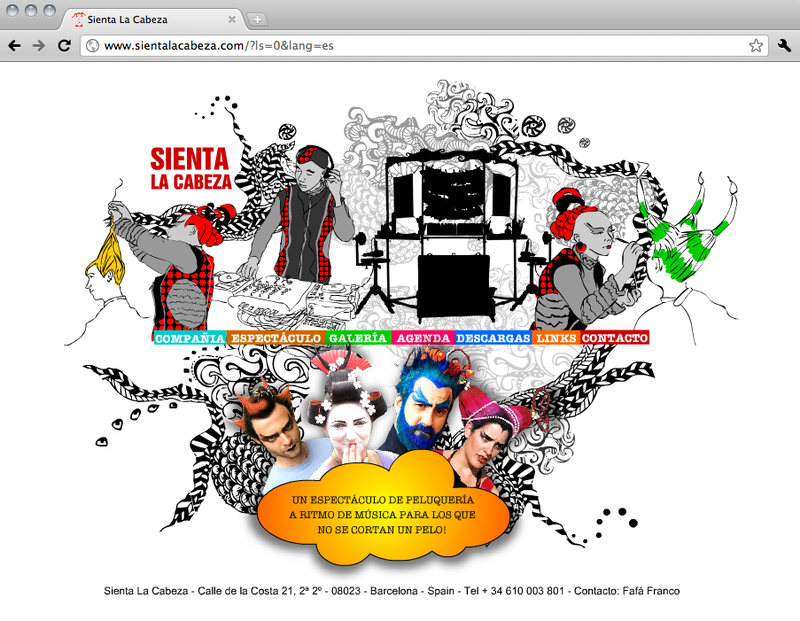 Sienta La Cabeza – Theater and Music, Barcelona. 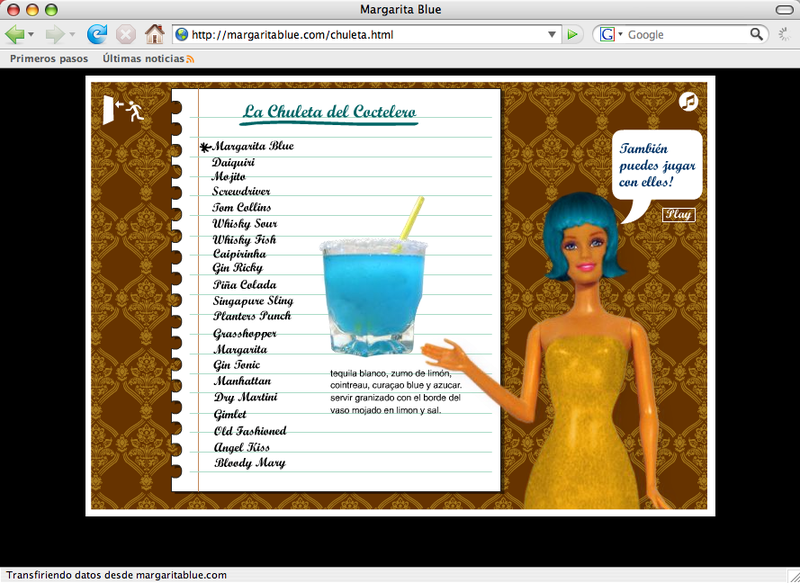 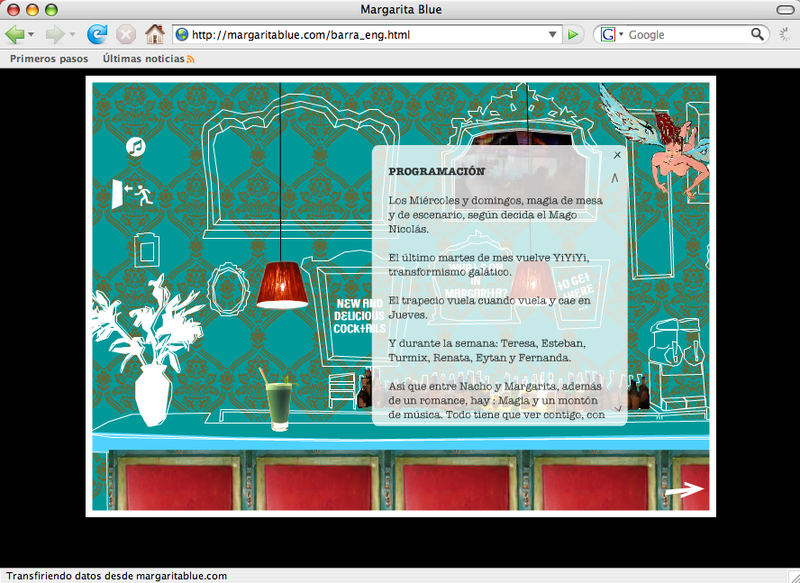 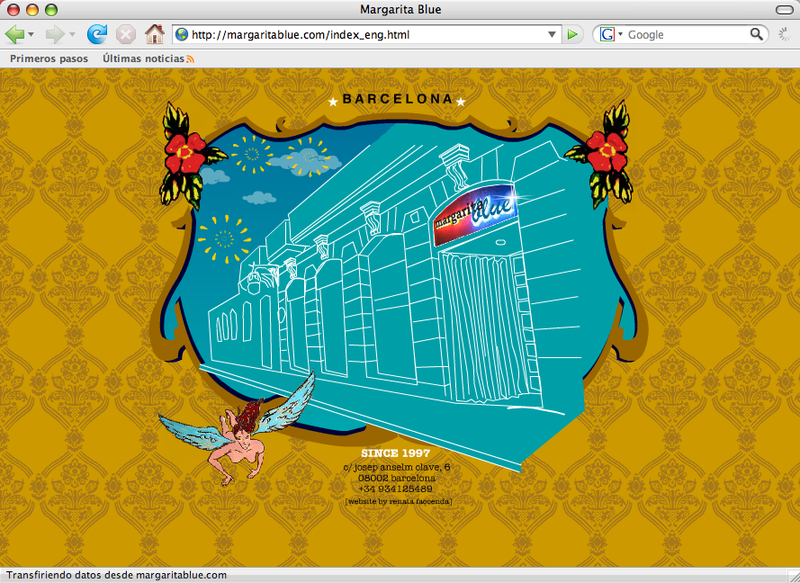 Margarita Blue – Bar and Restaurant, Barcelona.